This roasted carrots recipe is a family favorite. 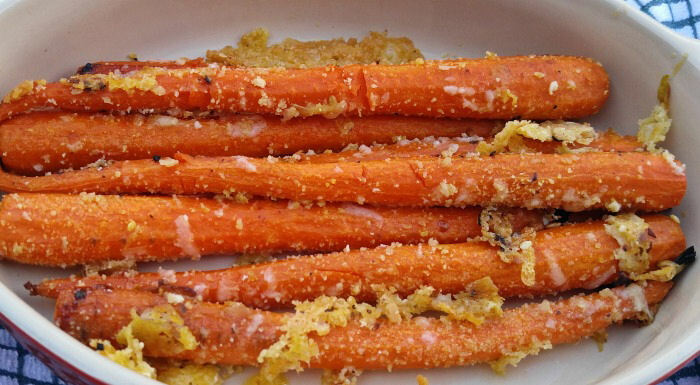 The Parmesan roast carrots are topped with grated cheese and Panko bread crumbs for a wonderful flavor and crunchy texture. This dish makes a great side dish and with Easter coming up soon, it’s nice to have an easy to prepare recipe to add to your holiday menu. Roasting carrots brings out their natural sweetness and I often cook them this way. It’s easy and a great way to get kids to eat vegetables they might not want to try. 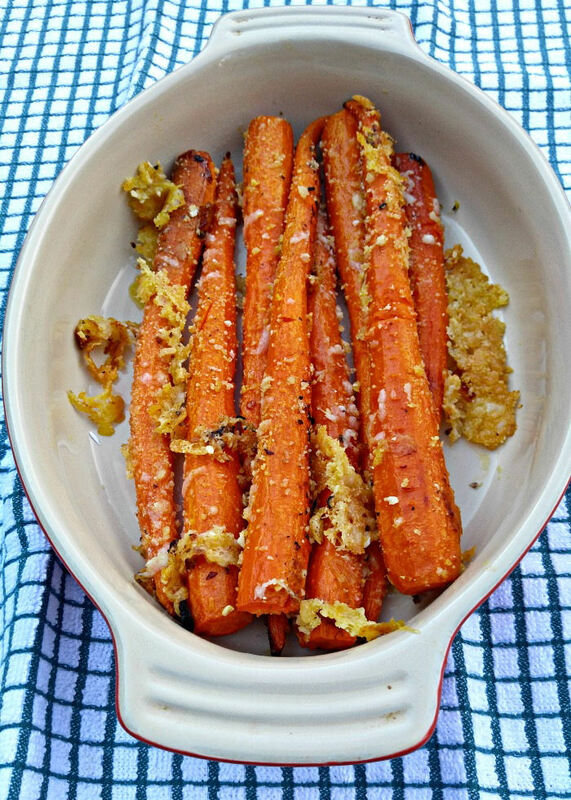 This recipe goes a step further to add a delicious topping to the Parmesan carrots that will make this recipe one that you will find yourself cooking again and again. You can cut the carrots to make them cook a bit more quickly if you like, but I love the presentation of leaving the carrots long. It turns an ordinary side dish into something a bit more special. If you can get them from the Farmer’s Market, even better, since they will be much fresher than those from the grocery store! I love how quickly the roasted carrot recipe comes together. 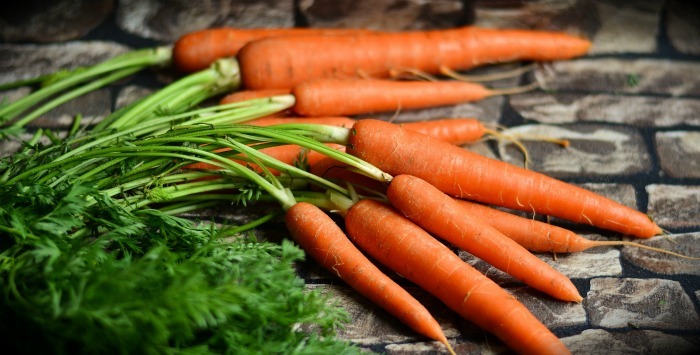 If you are using whole carrots, try to choose those that are a similar size, so they will cook evenly. Just peel your carrots. Lay them out on a baking sheet lined with parchment paper and season them with sea salt and cracked black pepper. 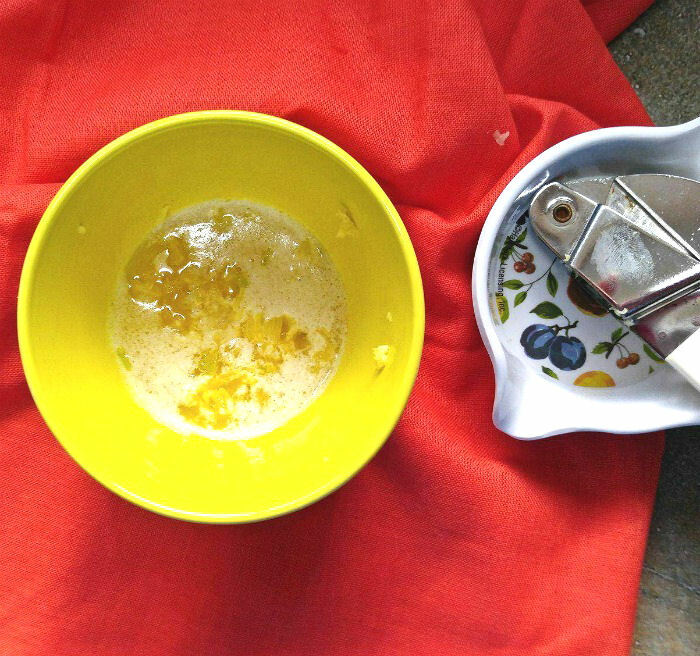 Combine the melted butter and minced garlic in a small bowl for the carrot drizzle. Drizzle the garlic butter mixture over the carrots and give them a good stir to combine the butter and garlic over the surface of the carrots. Roast in a preheated 400 degree oven for 20 minutes, giving the carrots a bit of a stir every so often. Now comes the extra special part. 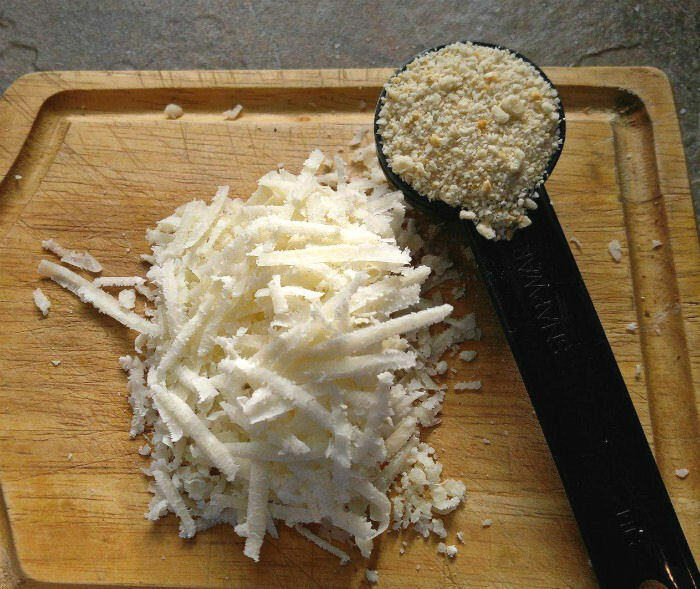 I grated 1/4 cup of fresh Parmesan cheese and added 1 tbsp of Panko bread crumbs. To keep my recipe gluten free, I used Ian’s Gluten free Panko bread crumbs. The recipe can be made with normal Panko if you wish and the results will be similar. Remove from the oven and sprinkle over the grated Parmesan cheese and Panko bread crumbs. Then continue roasting the breaded carrots for another 5 or 10 minutes until the carrots are tender. The flavor of this cooked carrots recipe is just amazing. You definitely won’t need to say “eat your vegetables” to the kids when you serve these! 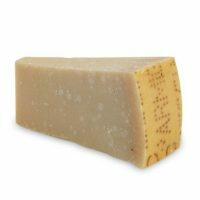 The carrots are sweet and tender with a richness that comes from the fresh Parmesan cheese. Panko bread crumbs add a little crunchy texture that makes them almost seem like large French fries! 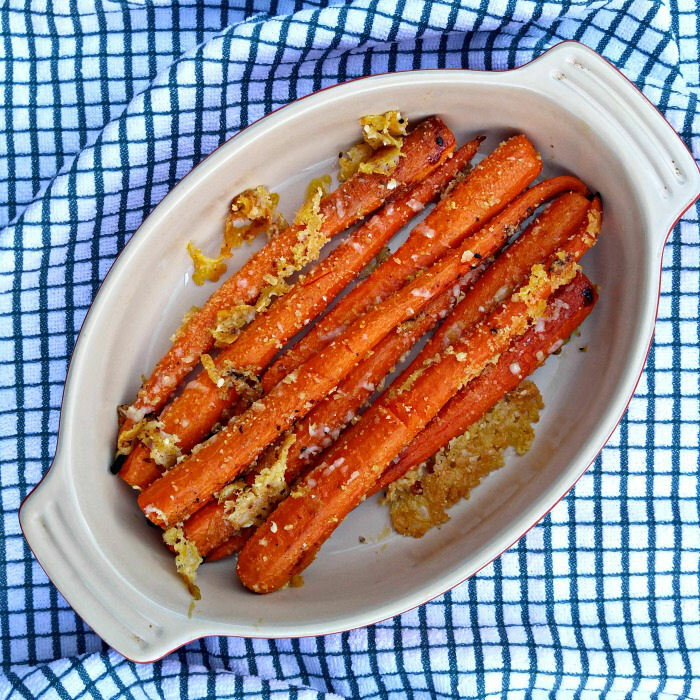 If you are looking for a quick and easy to prepare side dish, be sure to give these Parmesan roasted carrots with breadcrumbs a try. You won’t be disappointed with the flavor! Those left over cheese bits are a special extra. Don’t leave them in the pan! This recipe is gluten free, and works out to just over 130 calories for 2 carrots. I love how quick and easy this dish is. It’s ready in about 35 minutes and prep time is only 5 minutes! 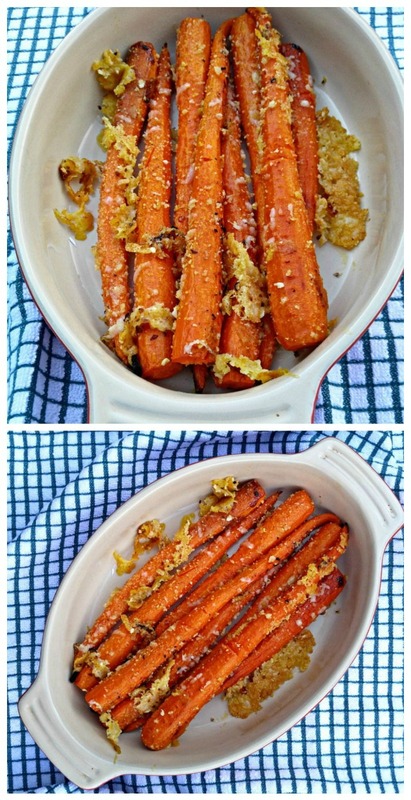 Would you like a reminder of this Parmesan Roasted Carrots recipe? 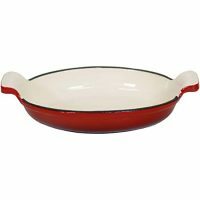 Just pin this image to one of your cooking boards on Pinterest so that you can easily find it later. This roasted carrots recipe is a family favorite. 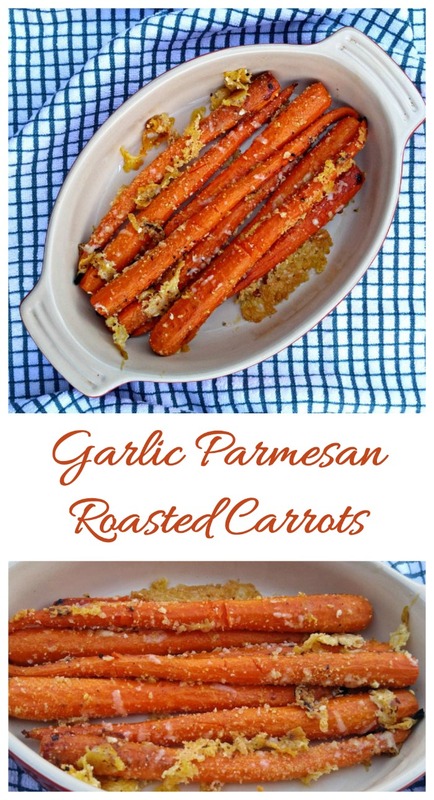 The Parmesan roast carrots are topped with grated cheese & Panko bread crumbs for great flavor & texture. Preheat oven to 400 º F. Line a baking sheet with parchment paper. 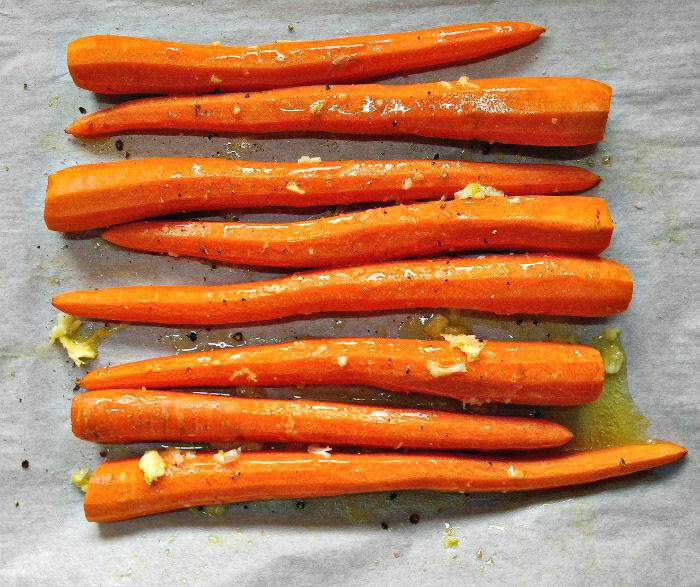 Peel the carrots and lay them out on a baking sheet lined with parchment paper. Stir the melted butter and minced garlic together. 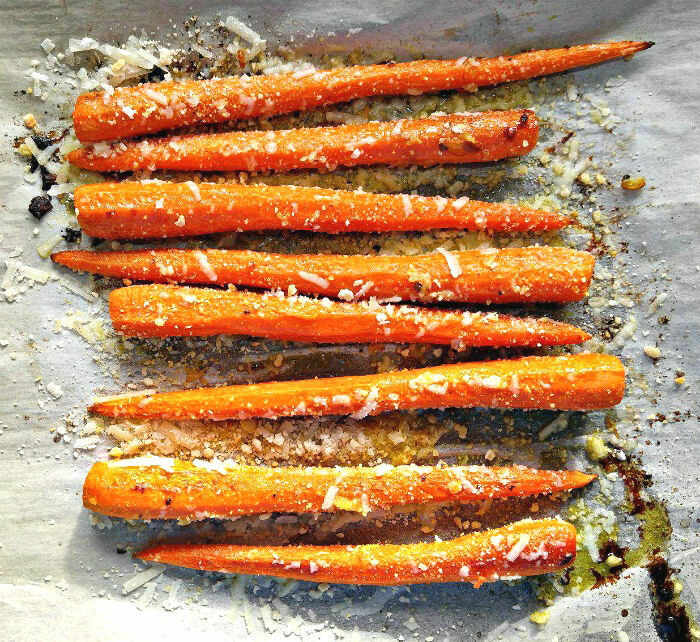 Place carrots on the prepared baking sheet, season with sea salt and cracked black pepper and drizzle over the butter and garlic mixture. Roast in oven for 20 minutes. Shake pan occasionally to turn carrots. Sprinkle over the grated Parmesan cheese and Panko bread crumbs and roast for another 5-10 minutes or until carrots reach desired doneness.